The current concern over energy utilization and carbon dioxide (CO2) emissions can be surveyed by investigating potential energy savings and potential emissions reduction in order to emit less greenhouse gases (GHG), thus allowing countries to create economic growth while at the same time preventing global warming and mitigating climate change. 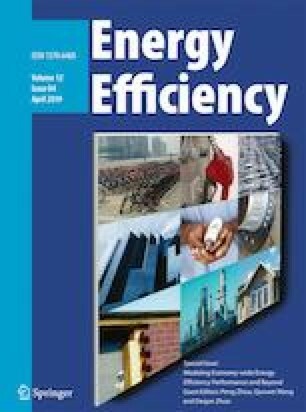 The main objective of this paper is to analyze long-term potential energy savings, potential emissions reduction, and long-term technology gaps on energy utilization and CO2 emissions in G7 and BRICS during 2000–2014. The paper also sets up an index to measure convergence or divergence in the technology gaps on energy utilization and CO2 emissions. The results conclude that the UK, Italy, and France have the smallest overall technology gap, while the largest overall technology gap appears in South Africa, Russia, and the USA. To this end, the technology gap on energy utilization in BRICS is improving in recent years. The authors thank two anonymous referees of this journal for their valuable comments. This study was financially supported by Taiwan’s Ministry of Science and Technology (MOST105-2410-H-009-043). World Resources Institute. (2014). Global emissions of CO 2 from fossil fuels: 1900–2004. Downloaded from http://www.wri.org/resources/charts-graphs/global-emissions-co2-fossil-fuels-1900-2004. Accessed 23 Jan 2018.